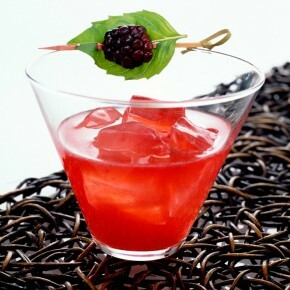 Don’t fear: This crimson cocktail gets its bite from bold blanco tequila, not venom. Agave nectar and muddled blackberries soften that bite with a hint of sweetness, and give the Black Widow its signature spooky hue. Don’t forget the fresh basil and blackberry garnish for the full effect. In a shaker, muddle the blackberries and basil. Add the remaining ingredients and fill with ice. Shake well and strain into a stemless Martini glass filled with fresh ice. Garnish with a blackberry and basil leaf on a toothpick.